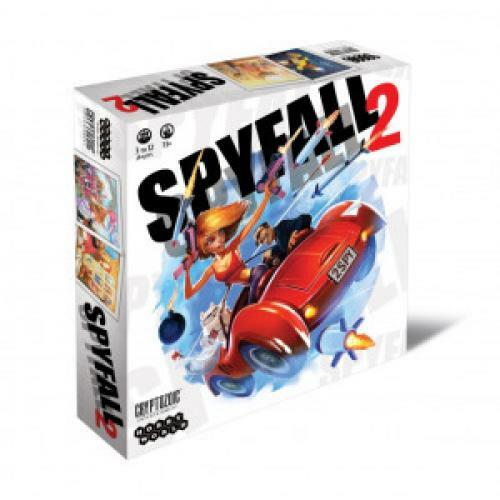 Fill in your details below and we will let you know within 24 hours if we can get Spyfall 2 to you with haste! SPYFALL is an easy-to-learn card game of bluffing, probing questions, clever answers, and suspicion. At the start of each round, players receive a secret card letting them know where they are - a vineyard, jail, coal mine, gas station (20 unique locations!) - Except that one player receives the SPY card instead of the location. The Spy doesn't know where he is, but wins the round if he can figure it out before he blows his cover! Players then start asking each other questions during the intense 8-minute rounds. Non-Spy players want to ask questions and give answers that prove to the other players that they know where they are. But watch out! If your questions and answers are too specific, the Spy will easily guess the location and win, so you need to practice a bit of subtlety. But if your questions and answers are too generic, you might be accused of being the Spy. The Spy will also sometimes be asked questions (just like any other player would) and have to come up with questions of his own, without knowing anything about where he is! If you listened carefully to the other players, you'll be able to come up with a plausible question or answer... hopefully. -Now games might feature TWO SPIES! When one tries to guess the location, the other one takes a guess as well. -Now up to 12 players can play at once! Bigger games means more finger-pointing and shenanigans. -20 new locations adds tons of crazy new fun!